180 Nutrition: Attention all fitness enthusiasts, need a little motivation? We have a fantastic competition that will take no longer than it takes to boil a kettle to enter! 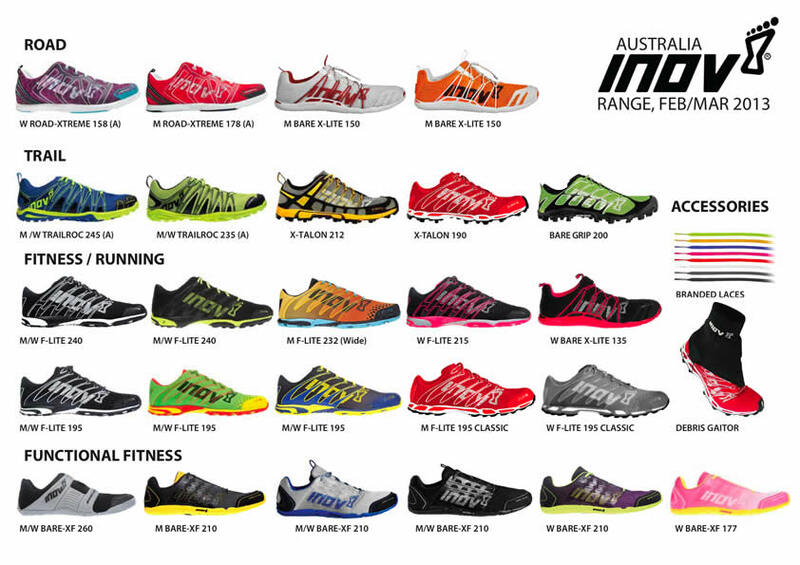 Whether it be road, trial, running or functional fitness, Inov-8 have got it covered! 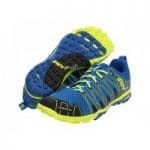 The nice guys at Inov-8 Australia have kindly given us a pair of shiny new sports shoes to give away. You will be able to choose any shoe from this list here. Do you have a drawer full of t-shirts, yet find yourself wearing your same old favourite one that you’ve worn to death? Have you tried our all natural protein supplement yet? The only high protein supplement on the market free of all chemicals, preservatives and that is actually good for you. A 1.5kg bag of your choice (of flavour) is up for grabs with 30 serves in total. You can learn more about our all Natural Protein Superfood here. The only protein bar on the market free of all chemicals and preservatives. Tastes so good you’d swear they were homemade. Perfect for those ‘need to snack now‘ kind of moments. A box of 10 bars are up for grabs. 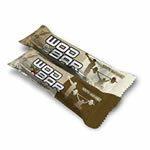 You can learn more about our WOD protein bars here. So how do you win this fantastic prize? First leave a short comment below on this post & tell us what get’s you up & running in the morning. If you want to double your chances then feel free to click the Facebook ‘like’ icon below. The competition closes at 11pm Sydney time on March 31st 2013 and the winner will be notified by email, good luck! (Open to Australian/NZ residents only). FOOD – the thought of eating breakfast is the only thing that gets me out of bed in the morning! My awesome clients & knowing that without me they would likely still look and feel the same as they did before they started their training program. Keeping people, fit, healthy and motivated! The thought of smashing through the day’s WOD and coming home to my berry/spinach/choc 180 smoothie certainly gets me up and racing each morning. MY TRAINING BUDDIES – don’t want to let them down, by not turning up! … and a 180 smoothie when I get home. The opportunity that every fresh new day brings if approached with hope and openness. Habit is what gets me up. Consistency is the key to a healthy life! The drive to be better than I was yesterday, the only way to do that is to get up and give it a go! The Impossible – it just takes a little longer to achieve! 6am Crossfit Wod followed by a nutritious breakfast to refuel before I hit the day! The gym! Nothing better than feeling u get after an awesome workout. Sets a positive and energized tone for the whole day! My desire of getting better everyday and become a better fighter/crossfitter. My four children and fitness fanatic husband. He runs ultramarathons (100km+)and the kids are always on the go. I have to be up and running in the mornings just to keep up!! To be a little better than I was yesterday…To be a role model for my children. The thought of competing in Spartan Race in sydney this weekend. 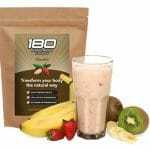 But also some delicious 180 nutrition always puts a spring in my stride. My breakfast smoothie gets my body engine started every morning and running all day. My alarm clock!!! My body doesn’t naturally want to get up at 5.30am, for some peculiar reason – but I do love that 6am WOD to kick start my day. The thought being active gets me up and running. That awesome feeling you get from an early morning workout…. It’s the best way to start the day. My daughters chirpy little voice.. The beneficial health effects that 180 has on my bowels gets me up and running every day without fail! Its a good thing – Food in – Toxins out !! Doing what I love to do, train, and train hard gets me out of bed in a morning. Being healthy and happy is of my highest values in life and I believe you should only do what makes you happy. The first rays of the sun, nothing beats a friendly encounter with the sunrise. The peace and quiet! I get up early because it’s the only part of the day that feels like “just mine” perfect for beach walks, and seeing the sun rise each day! That gets me up…cause lets be honest…if you fill it with the the things that you love and are good for your mind, body and spirit..then LIFE is pretty damn spectacular. Barefoot running on a very grassy oval early morning. Not too many people around.. SWEAT. Nothing beats the feeling of being drenched and exhausted/invigorated at the end of a good run. It’s refreshment for the soul. My community is what gets me up in the morning. Knowing that we are a group of ordinary people doing extraordinary things together is the fuel in my fire. The past year, (since I started doing CrossFit & eating paleo) my quality of life has drastically changed. I’m now the best version of myself that I could possibly be. That is what gets me up in the morning. One of my three little alarm clocks (aka the kids) get me up…what gets me running is breakfast and getting straight into workout gear. No procrastinating! Eating 180 products have changed my breakfast forever. Nothing like a good start to the day to get you up and running. One word – Crossfit – 6am every day!!! A strong coffee gets me going! All the water I drank the day before lol, and knowing that I am here for another day. At the momenr my Fiji Wedding coming up in September…wedding dress and bikinis!!! One or both of my ‘very naughty’ Devon Rex cats at 4:30 am ‘every day’! The call of an early run before my kids require me! Knowing that when I get back from my morning run session I’ll be refueling with a 180 shake filled with mixed berries, yoghurt and a dash of honey!!! The chance to train outdoors with the sunrising and the city slowly coming to life helps me jump out of bed in the morning. the thought of time by myself to breath in fresh air, clear the mind and prepare for the day ahead. My kids get me up in the morning! So to fuel up in time to complete my Crossfit workout & WOD before kids get back from school and then shoot of shortly for my 5pm start, 12hr night shift. My dog, knowing that he’s waiting for his morning walk and relying on me to take him gives me the motivation to get out and moving each morning. Helps that he’s pretty darn cute. Getting in the box! And giving this body a flogging before breakfast!! My wife gets me up (thank goodness). She trains most mornings and and I’m compelled train with her. Fun. What gets me up and running in the morning? My Alarm clock and knowing I am going to feel so great all day after completing the WOD. Becoming better gets me up most mornings. 5am start, it’s the desire to be stronger, faster and more powerful than I have ever been before. I want that when next I step on the rugby field or obstacle race I blow the competition out of the water and I want to blow my last pb out my own mind. What gets me up in the morning is the thought of the next Obstacle Race I am doing! Today it was Spartan Race Sydney! Wanting to be up there with the Elites makes me want to get up and go! What fuels me in the morning is a protein rich breakfast and the desire to keep off the 34kg I’ve lost so far! The sunrise – nothing better than seeing a great sunrise to get me moving in the mornings. Knowing I can have a big breakkie after training doesn’t hurt either! I have set myself a goal… no longer will I be 30kg overweight and unhappy with how I feel. Each day I wake up I think of how I will do things differently from before. 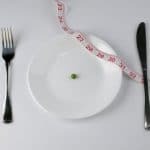 I think about what I will eat, how I will exercise and how I will be at the end. Each day I get out of bed is another step in my marathon towards shaping my reality!! Because the mornings are my time. No traffic, no one else around and the loudest sound you hear are the soles of your runners. I feel better knowing i have overcome the voices in my head that keep telling me its to early or its too hard. Mon-recovery run, Tues-Hills, Wed-Bike, Thurs-Hills, Fri-Rest, Sat-Long Slow Distance, Sun-Long Slow Distance (shorter). Swim-3xdays, Gym-Core/Strength-2xdays. That’s all!!! Pushing myself further and further each week testing my body to the limits. But there is no limits only the mind trying to give up but not the body. The thought of my competitors getting one up on me because I missed a session gets me up in the morning. knowing that life without a challenge is not a life worth living. I need to run to get better. What gets me up and going in the AM is the knowledge that if I don’t get up and do moe, move more, try more, I will become no more. That is synonomous with death. And I can’t live like that. The best thing about a morning run is the sunrise and the boost that carries you through the day. My family is what gets me up and going in the morning, and what keeps me going when every fiber in me is screaming for me to stop. Pushing through the pain and enduring means that I get back home to them faster. Getting up and getting a good Crossfit workout in before going to work. Seeing the sunrise is such a magnificent sight. Far too few people get to see it! Most days – work. The earlier I start, the more of the afternoon I can enjoy & the more time I have for my training!! My beautiful German Shepherd wakes me up every morning ready for her morning walk! That’s if she’s not sleeping upside down on our bed, snoring. Getting out on the trails gets me up in the morning! Seeing the world differently for my hour or so before the rest of the day! The knowledge that every day is a new day and that a run will always clear my mind. The draw of that post early morning exercise high. 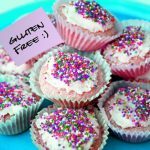 Knowing that if I don’t get up before the kids, I won’t get the time to do something truly positive for myself – which in turn is something positive for them! So I can keep up with the wife!! life. breathing. starting over. coffee. the ability to do these things. the possibility to do more. My health – after stacking on 12kg due to chronic illness. I am going to fight this battle and WIN!!! I’m up and running in the morning ‘cos that’s the only way to smash my goals – a marathon on every continent, 4 down, 3 to go, whilst being a wife, a mum, a physio, and an employer. And hopefully inspiring other women to set their own goals, and prioritize their needs enough to achieve those goals. The constant personal improvements crossfit brings! To find out if today will be the day that i find my bodies limits. My organic earl grey tea savoured at dawn before anyone else wakes up. It’s my moment of peace. Knowing that while I am awake pushing myself to go that little bit further and achieve my fitness goals, 99% of the population is still fast asleep with no clue to the sensation I have just experienced. Needing to improve my health and wanting to lose my baby weight before having another is what gets me up for the morning run. My daughter gets me up and going at 6 am every morning have to say not so keen for a run that early. That comes later in the day. What wakes me up usually is my daughter singing me the ‘wake up’ song, but what gets me out of bed is my morning routine: lemon water, yoga and my breakfast smoothie. Love fuelling my mind, body and spirit to attack the day with focus and energy. a pre-dawn bike ride or swim session, nothing better ! A bowl of oats sprinkled with my favourite protein powder, the new found energy I have from eating clean and training mean, not to mention the excitement at the thought of the boxing class I have after work! my phone alarm and the thought of burpees early in the morning. Life is a gift!! Appreciate everything we have and make the most of each day!! The smell of bacon and coffee along with the peace and quiet in the morning before the rush begins. Being Present! working as an Exercise Physiologist, knowing i’m making a difference to those around me and the thought of being a mentor to others in the industry. 10 years on, I still love what I do. Knowing I will get fitter and stronger after recent surgery.. Step by step, little by little … The goal will be achieved!! Don’t tell me not possible! What gets me going in the morning is the want to achieve certain goals in my fitness with the help from the community, friends and coach at crossfit mode. My clients, my girlfriend, my kids and my training!! All of these things get me going and light up a big goofy smile on my face! The desire to create change for my athletes gets me up every morning…. I set my alarm with the words “another beautiful day…get up and enjoy”. I think mornings are the most amazing part of the day. My Paleo Breakfast + yummy protein shake + the idea of knowing that the more i run each day is making me stronger! Knowing that if I’m going to be better than yesterday, I need to get up and start working on that right now. Hey,, wanting to respect and nurture the one body that I am the recipient of motivates me to rise early and exercise ..
A new pair of good looking shoes and the knowledge that I’ll finish my workout with a great tasting healthy protein shake made from 180 is also a motivator …..
my 4 and 6yr olds is what gets me up and running in the morning….running to be referree when I hear them up at 6am arguing! A big breakfast, inc. my 180 nutrition in one of the many recipes I have tried or invented of course! Knowing how awesome i feel for the rest day after exercising in the morning being up at the same time or before the sun is energizing! My kids , and the thought that I get another day to make an effort to be a better me, Do a better job, run a little further, Run a little faster…. Each day is a step to the next! GRATITUDE!!! – Gets me up every day! I have so much to be grateful for, and if I choose focus on those things (including all the small things, like avocados’! ), I want to jump up and meet life every day with a smile! What gets me up in the morning? The beauty of everyday life. What keeps me going? 180Nutrition! Nothing gets me up thats why I have to win this awesome prize. No confidence when overweight. & in menopause stage, so much sweating. & one so slow metabolism. My hubby and kids ! My husband gets me out of bed and motivated to run in the morning before my kids are awake, then once he goes to work my boys keep me running to get them to school on time with healthy lunches! I like the world in the morning when it’s cool and quiet and sleepy. ‘me’ time in the morning starts my day off right. A very strong coffee with a few tea spoons of goals and motivation gets me up, my 180 smoothies gives me the kick to keep going! What gets me up and running in the morning? My Coconut 180 Protein Superfood of course! Feeling of being alive and seeing the sun starting to rise. Thinking about how good I felt after my last run and wanting to be an inspiration for my upcoming business to help people make healthy changes in their life. Also not wanting to gain any of the 25kg I’ve lost!! What gets me up and going in the morning? The thought that I get a whole day to really enjoy life. I like to use the morning period to be really kind to myself (which is something that I don’t think we do often enough). I wake, wander around, make a cup of tea, do some yoga in my apartment, walk to work, greet my team… just take things easy and enjoy! By training today I’ll be one step closer to my goal tomorrow. The thought of a yummy chocolate protein shake, or eggs for breakfast gets me out of bed super quick! The thought that I will be more focused during the day and my energy levels will be so much higher if I run first thing in the morning. And also looking forward to a delicious breakfast after it! Crossfit! Plus you can’t beat a Sydney sunrise. Woke up with an ‘attitude of gratitude’ and haven’t stopped moving. Gratitude is energizing me! My clients! I am up and by the river personal training clients almost every morning and I LOVE it. No better way to start the day than inspiring a healthy lifestyle- and I get to do it for a living! A couple of homemade protein balls before early morning crossfit strength and skills – I know to be best I can be, I have to train hard and eat right! The feeling I get after a good workout which also makes me motivated to take on the day! Seriously….Have my brain to myself before kids, work, phones, computers etc etc takeover for the day….My thinking time. My Game of Thrones ringtone wakes me up startled each morning. I jumped out of bed this morning to go for a swim before I even registered that it was only 5.45am. No one snoozes a GoT ringtone. But if that doesn’t work, my girlfriend will kick me out of bed. The innocence of 5 small children looking back at me and the realisation that everyday brings a fresh start and a chance to make your day count 180 degrees in the right direction. A routine that rewards hard work with good healthy food and fun! Failing that.. coffee!! 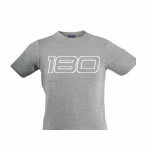 My 180 fuel ….which kick starts my determination, strength and awsome energy……all i need is those funky Inov-8 shoes and i will be dangerous!! Watching the sun rise while running on the beach – cant beat it! Alarm off, feet on the floor, stand up. The rest seems to be easy once these steps are complete. I used to struggle with getting up early een though I wanted to get up and train but this seems to work a treat. The trick is not to think about it too much. At the moment, being at work, (I live and work in the same building for 16 days at a time) its the rest of the emergency services team getting ready for the day ahead. Always enjoy a nice fresh brewed coffee, healthly breaky and then into it for the days activities. My 10 month old son and 5 year old daughter get me up very early in the morning. A yummy 180 banana-berry smoothie help me keep up with them! The opportunity to get out running before the kids/work/school/general madness take over. Training for my 1st half marathon in August this year is providing loads of motivation! I want to live and not just exist! 10 years of surgeries and sickness due to 3rd stage cancer and 2 car accidents took a lot of choices away and now I’m taking them back! It’s My choice now! First the alarm and a coffee. Then a coconut protein shake with a banana. 1. The undeniable, unstoppable effect on the human body that the hands of time has as each dawn brings new light to play in. A new day. A new start to the rest of my life full of endless possibilities. Honestly – My dog, he knows when its time to train and he wont let you get away with skipping a session! Thinking of WOD and how to eat better, stay fit and healthy. The blessing of watching the sunrise as i run! Knowing how great i feel during and afterwards and it setting me up for the best day ever. and I can do exactly that! I’M 34, HAVE HAD 2 BABIES, AND MY HUSBAND TELLS ME “MY DAYS ARE OVER”…..WELL, WE’LL SEE ABOUT THAT! To be an inspiration to over 65’s to step up and make the most of their senior years instead of winding down, taking too much medication and using a waking frame!! Simplicity of 180 Nutrition to look forward too…….. Nothing beats getting up with the birds, having your workout done for the day and sitting down to a paleo breakie……. all before the rest of the world has woken. It feels like a secret club… and breakie tastes so much better after exercise. About 2 years ago I suddenly began to struggle bending to tie my shoe laces and being out of puff after playing with my toddlers. Of course it wasn’t that sudden – it was a few years of neglect that did it. Now I am out before dawn so I’m fit enough to run around with them both now and when they are older. The feeling of pushing through the cool dry air cycling up winding roads to approach the top of the mounatin then looking down below to see the orange sunrise over the horizon. The sunlight warms me as I sprint home for a quick breakfast. The joy of earthing myself – being in tune with nature and the natural elements in my environment – is what gets me up each morning. Wanting to run, move and feel the youthful energy that is ignited by a holistic approach to exercise and nutrition is optimum health for me. Doing my sunrise run in Berowra gets me up in the morning, the most amazing run, in the middle of the bush with sound of the birds, the sunrise in the East & the Blue mountains in the distance in the West, dedicated to my sister who died of cancer. I had a heart attack 12 years ago, aged 42, after playing football for 35 years, what gives? I have a healthy diet and exercise regularly. I still play touch footy aged 53. Finally a product that has all the good ingredients in it and not the fillers and artificial stuff. I am going to tell all my gym and workmates to get out of bed each morning and tuck into some 180 shakes. Go you good thing! Going to the gym. The accomplished feeling you get after a hard training session sets you up for the day. Knowing that I feel 100 times better after exercising or running in the morning!! I need those endorphin’s first thing to make me feel great for the day! I used to be unhealthy and spend everyday walking around sluggish and lethargic. Knowing that waking up in the morning to a run or a 6am WOD will make me feel better for life…. consistently training makes me consistently better! My alarm clock at 4:30am to get out and running some speed, trail or long run with great company. I get out of bed in the morning with the thought of aspiring to compete in the death race. I’m only new to obstacle course racing and want to be the best therefore I would look to 180 nutrition as the best to help me be the best. Feeling accomplished before most people are out of bed, makes me feel confident, positive & energized for the rest of day. Since discovering obstacle racing and inov8’s a few months ago – my life has done a 180! I have never felt so good or so alive! The thought of breakfast each morning gets me up, ready to attack the day! I look forward to getting in to our box for the days WOD, coffee straight after then home for a protein and fruit smoothie. Gets me up and going till I hit the box again in the Arvo. Simply, my shoes just calling my name. They never lead me astray. Knowing that I’m able to – some people don’t have the luxury of even being able to get out of bed due to sickness, disease or disability. I consider myself lucky and that’s what gets me up and running in the morning. Get up and run! Is my way to go around this world, I run every where any time.. I don’t own a car, motorbike or a push bike. Legs are taking you around, stronger they are, far you go! At 0530 hrs every morning 2 cats come thundering down the hallway and virtually push me out of bed. I think it is only because they want the bed for the day. I love having my morning coffee and cooked breakfast with my husband before the kids get up. Having my 180 fruit smoothie before bed is currently keeping morning sickness at bay so cheers guys. Love your stuff! The sound of my kids waking in the morning is enough to get me up and out the door of a morning. Besides wanting to set a good example for them, my morning exercise is the only ‘me’ time I get all day. And it can also be the difference between a happy mummy and a grouchy mummy. staying healthy and being the best roll model I can be too my two boys gets me going every morning. Knowing that today I can be better, fitter and stronger than I was yesterday…that the whole day of opportunity lays before me, waiting for me to make it mine! This beautiful country of ours, my gorgeous kids, my wonderful husband, and always the memory of my amazing mum..who last words of advice were to ‘enjoy my life, every moment, in the moment’. I certainly feel this on those tough mountain trail runs..my passion for trails just grows!! I don’t get up and run because of how i feel BEFORE i run, but because through experience, i have faith that i know how much better i’ll feel after it. Sets up my day nicely. the thought of a nice early morning run in the dark with no one else around, sets me up for a great day even if its a work day. My determination to beat my personal best from the previous workout session; in running and core training. Everyday, I challenge myself knowing that the rewards for my efforts will be AMAZING to say the least! Knowing that today is a new day – to start over – to be a better version of me. Crossfit – I love that every day is something different and prepares me mentally for a busy day! I love getting out for a run before any cars and people are out – the mornings are so fresh – a new start to every day! Not knowing what each day will bring makes me excited to get up and get started. There is always something new to learn, experience or discover. I am out of bed for two very enthusiastic small dogs who demand a morning walk, and show me how to love life. What gets me up & running in the morning is the fact that I am able to do so… I never take mobility for granted, as there are so many people who would wish to be able to physically get out of bed, put on their runners and get out amongst the day. I’m so grateful to be able to do this, and I will keep running until no longer able to do so! For me, it’s a choice… for others, it’s a wish. The promise of a beautiful sunrise over the Central Australian desert. The rich hues of orange and pink are breathtaking as the sun rises over the rocks and scrub. It’s an ehhilerating start to the day and the beauty takes my mind off any protesting from my legs. I don’t run in the morning. Too tired. 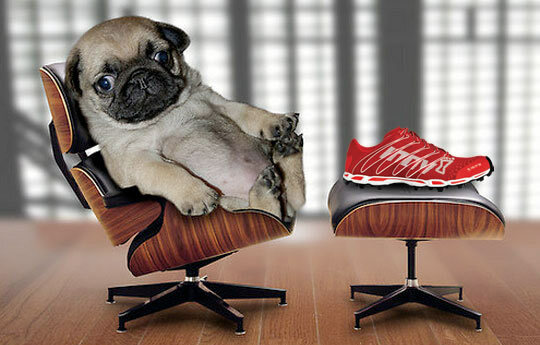 But if I had new shoes… hmmm. My dogs. I take them for a run every morning cause they’re energetic fellows and they need the exercise. They keep me totally responsible and no matter what – I’m getting up to give them their run, since they make me so happy. Knowing that today im a stronger and fitter person than yesterday gets me up and running in the mornings.